Tune into Radio Carly: Flight. My hospital room window overlooked the city skyline. It was a mix of wide sky, sky scrapers and construction sites. The sky was often blue, and once it blushed pink at sunset. The top of Eureka Tower shone like a Wonka Golden Ticket, particularly bright when it was cloudy. And the cranes were a sign of things happening - both a tool in a construction site, and somewhere for Southern Cross flags to hang and flap mid air. I couldn't see much life from the ninth floor. Life (and death) was happening outside, but I could only see it on my phone. I kept my blind open just in case I might see something outside. That and I was too short to reach the blind cord and so I had to stand on my suitcase to reach it. I saw a lone star one night, it pieced the navy sky. It was more inspiring than the beige walls, hand sanitiser and a syringe disposal unit that I looked at all day. Opposite my window was a helipad for the air ambulance to land. During my stay, the air ambulance came four times. Three times on Friday night and once on Saturday. I felt bad that the arrival of the air ambulance was like a live display in my very own Christmas window. But I looked (and took that one photograph) anyway, in awe at the enormity of the operation. The technology. The fragility. How lucky we are to have this medical skill and presence. The responsibility that comes with the occupation. The severity of these patients' conditions, which of course brings perspective. And the speed and potential distance. Amazing. 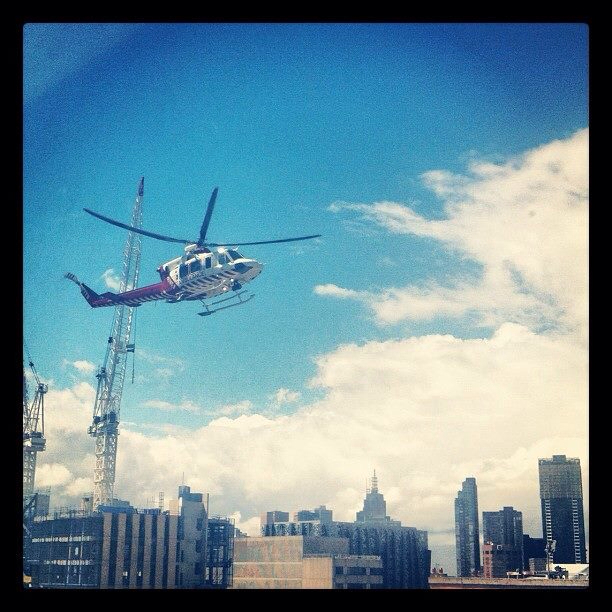 The air ambulance hovered above the hospital for a long time, so you know it's going to arrive. It rumbled loudly, landing with precious cargo and met by medical professionals on the helipad. Once it landed, it was shielded by the hospital building. Some privacy. I couldn't see the air ambulance anymore. But I had hope. I hoped the patients inside the air ambulance were ok, that they had loved ones to support them. And if they weren't ok, I hoped the air ambulance was collecting or delivering organs to give new life. My little nephew arrived at RCH by chopper, the family had received calls from the media before he even landed, the answer was no, they were not given permission to tell his story. Didn't stop them from making their way to the roof of the RCH and filming him anyway, footage they had before the family made it from the country. A little boy with bright red hair, so bright that everyone in the country town mentioned knew exactly who it was. And when he didn't make it, his organs went to 11 other people, so I guess he got to go flying again and to live on. The Canberra air ambulance is very recognisable from the ground. Every time I see it I send my best wishes. Winter is the time, you see it going back and forth from the snow fields. We are lucky that we have access to such amazing service. Hi Carly, been a while since I stopped by, had to read a few posts to catch up. I'm so glad you're feeling better! My name is Sanna. I'm 27-year-old girl from Finland, North Europe. I have EHK. Year by year my ichthyosis gets better and better. I have found good lotions which I use daily and I've eaten oral retinoids since I was 8 years old. I have my own bathtub and I take long baths with lots of warm water and sea salt. Salt helps to keep infections away. Nowadays I need antibiotics rarely, but when I was a kid I needed several courses in year. Specially winters were hard. I read your blog occasionally, but now I enjoyed a reader. You have such a great attitude for life! Nice to hear that you are feeling better. I hope that you'll be home soon, and you don't need to return back to the hospital for a long time. I think I remember you saying you were at Royal Melbourne? RMH gets two kinds of air ambulance patients - those for whom there's no hope and those who aren't that bad. The Alfred tends to get the bad but possibly saveable. Also the helicopter is piloted by police. To Clairey - incredibly sad to hear about your nephew (and the rest of the experience) but proud to hear about the organ donation. I understand what a difficult time it is for families but as you pointed out, 11 other people might be alive because of that. Such a wonderful thing to do and hopefully your family realises how special it is.